Picture a spiderweb. Each strand connects to another, creating a perfect net. Its functions are exactly what the spider needs—but it only works because each strand is so well-integrated into the next. Now, think of all the cabling that runs in your office walls, to your phone systems, your audio video systems, your conference rooms, and desktop monitors. If each of these systems are disconnected, what should be a homey little web is now a mass of floating strands that is flimsy at best and unsustainable at worst. This is why low voltage design is so important. 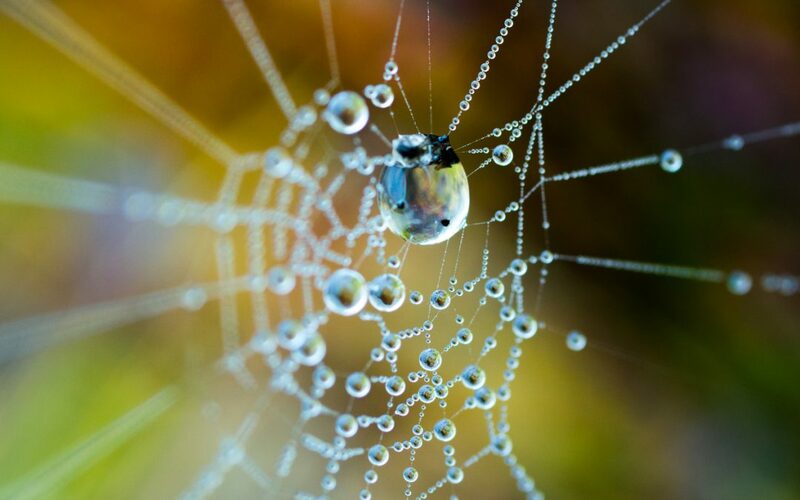 A well-designed and interconnected spiderweb can withstand most winter winds and summer thunderstorms. One that is not properly interconnected is easily brushed away by a spring breeze. Your communication systems operate in the same way. If they aren’t integrated or designed properly, your risk of failure increases. However with the right low voltage design, your communication systems should require minimal maintenance. As opposed to non-integrated or badly-integrated low voltage systems, integrated low voltage systems support each other versus opposing each other. Badly-integrated low voltage systems can cause issues with other systems. For example, changing a setting on a VoIP phone system that isn’t properly integrated into your IT network could cause network issues with virtual servers or shared drives. A failed shared drive can limit employee productivity for the day – and if your business isn’t receiving phone calls properly due to a VoIP issue, then you’re missing out on potential leads. As you can imagine, each time your low voltage systems fail, the bills stack up. All you may see are issues with the shared drive. But it’s more difficult to make the connection between VoIP settings and network connectivity. Excellent low voltage design cuts down on cost by minimizing your down time. If done correctly, low voltage design should also cut down on maintenance costs. While you need to have occasional repairs made, similarly to how you need to regularly change the oil in your car, you should generally minimize maintenance. You won’t have to redesign your office network in order to make way for new hardware – and using a single installer can cut down on inspection costs of parts and services. Communication systems that aren’t future-proofed incur costs when you have to change systems completely due to the fast-paced evolution of technology. Low voltage design takes this into consideration. Well-integrated communication systems should be future-proofed as much as possible in order to cut down on upgrade costs. Using the latest technology means fewer system overhauls, up-to-date security, and lower risk of failure. When systems are integrated correctly your employees can communicate with each other easily. Low voltage systems united into one user-friendly interface means that voice, data, and CRM are all in one spot that’s easy to access and even easier to discuss with your coworkers. No longer will you waste time attempting to collaborate when data, phone, and customer management are all on different systems. Fostering online collaboration through low voltage design allows employees to work together more easily and adds to a team atmosphere. Employees aren’t trapped in a cubicle or attempting to juggle emails, phone calls, and the audio set up for a meeting. When you have multiple offices across the country, remote phone calls take place often. A well-integrated VoIP system across offices means better call quality and fewer hassles to increase collaboration no matter the distance. With increased employee collaboration comes increased employee productivity. Employees won’t have to worry about mixed messages between coworkers with a combined IT network and phone system, as all communications come through one interface. Your employees will be able to get more done with less stress and higher job satisfaction. Even a well-integrated access control system means more employee production. A keyless entry system means that you won’t have to worry about employees losing keys, being locked out of the office, and then interrupting their coworkers. A well-integrated audio visual system stops employees from wasting time fighting with your conference room displays or striving to achieve a more exciting presentation with subpar equipment. With the right low voltage design, your audio video equipment can be easy-to-use and really bring your conference room to life. With appropriate low voltage design, collaboration between employees isn’t the only thing that will have become easier. Well-integrated systems can maximize security by creating easier communication between your surveillance cameras and your security interface. Structured cabling, wireless networking, access control, intrusion detection equipment, and paging systems can all be integrated into one low voltage design to form a comprehensive security system that fully protects your facility. Just imagine being immediately informed of an intruder via your smartphone and pressing a single button to initiate an office lockdown. For security systems to work, access control systems, security cameras, door and window sensors all need to work together seamlessly. Without well-integrated surveillance cameras, you lose the ability to livestream feed to your mobile device and you can suffer from limited capacity to monitor feeds. Excellent integration and low voltage design mean that you can take your surveillance streams with you on-the-go and control everything no matter where you are— ideal in an emergency situation where you may not be able to access the security room. If there’s one thing that customers praise us for at Medlin, it’s our ability to see a project through to every last detail. They know that when we’re associated with any job, they don’t have to worry about getting surprises a week or two later. It just gets done right the first time, so you can move your business forward. Your phone systems. Your energy management systems. Your camera systems. Trust us, we’ve thought of all of it and then some. We know low voltage design. We know what well-integrated systems look like and mean to your business. If you’re ready to move your business forward with amazing low voltage design, give Medlin Communications a call today. We deliver on our promises so that when we say it’s done, you can be sure we’ve helped set the stage for your customers to walk into one spectacular environment.